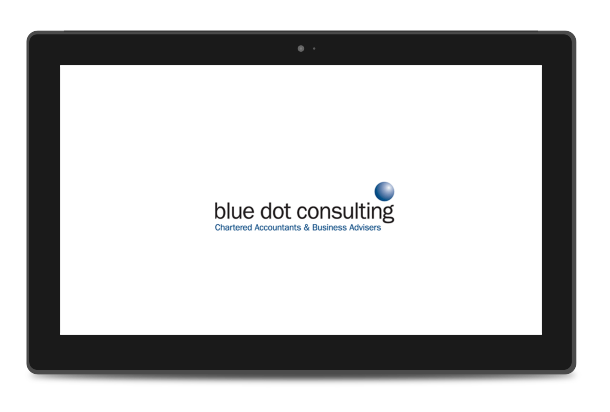 Blue Dot Consulting, UK based accountancy practice adopted a Microsoft Cloud IT system of Office 365 and Azure, to get away from the ‘traditional’, restrictive working process to a more cost-effective and flexible system, where employees can have reliable remote access to all (online and on-premises) applications and data. Blue Dot Consulting provides accounting, financial management and tax advice. The previous IT system was based on a traditional setup comprising of Windows Server, Active Directory and backup services. Accessing their services remotely using TeamViewer, server hosting Exchange, file shares and a number of accounting business applications including Quickbooks, Iris plus others. Issues included high capital and operating cost of running on-premises IT solution and complexity for remote employees accessing applications and data using team-viewer which requires a dedicated PC in the office for remote access use. Additionally, there was a risk of failure and potential loss of data using local backup services. Finally, there was limited DR (disaster recovery) and resilience, if for example the main office became in-accessible. Blue Dot discussed its objectives and requirements with a Microsoft Gold Partner – Pygmalion IT Solutions. They were impressed by the proposed Cloud based solution with reduced costs and higher levels of employee productivity: the calibre of staff and Microsoft Gold Partner competencies with customer references; several years’ experience in developing cost effective IT solutions and an ISO 9001: Quality certified company. The new IT business solution is based on Microsoft Azure Cloud Computing for the backend IT infrastructure - servers, backup, Active Directory, Remote Desktop Services: Office 365 for business productivity applications including email and document management. All emails, files and documents were migrated without interruption to on-going business. Users are able to access exactly the same full range of IT services and business applications whether they are in the office, working remotely at home or at client’s premises conducting accounting activities. They do this with the same simple process i.e. log-on and click. The company is able to use a combination of traditional applications alongside web based applications from the office and remotely. Being an accountancy practice, security is key. When handling a lot of sensitive data, you need a system which is secure and reliable, wherever it is being accessed from. All data is backed up to the Microsoft Azure Cloud with guaranteed levels of 7 x 24 hours availability. Data can be quickly restored using a remote administration portal. Giving an Enterprise level backup and DR service providing great peace of mind and a strong USP to promote to Blue Dot’s clients. Pygmalion IT solutions provided the full range of services: defining and confirming business requirements; design, build and implementation, training and on-going support. Providing an agile IT platform with easily extendable incremental capacity, enables meeting the growth and expansion of business requirements with minimal capital investment. The Cloud platform provides a range of benefits and cost savings compared to the traditional approach of owning, maintaining and operating physical IT assets and supporting resources such as hardware, software, backups and DR (disaster recovery) buildings, support personnel, etc. Provided cost effective IT business solution paid for on a monthly per user subscription basis. Enterprise class service levels for IT resilience, reliability / availability, backup and DR (disaster recovery) all provided at a low entry /setup cost. Based on cloud computing platform comprising Azure and Office 365 from Microsoft who provide guarantees. Provides users with easy to use remote access to accounting business applications and data, including legacy applications that do not have an equivalent cloud / web based option.